First, Draco's color can speak for itself. He's a very dark beautiful aprioct. 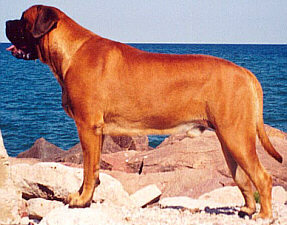 Draco finished his championship at 19 months old. 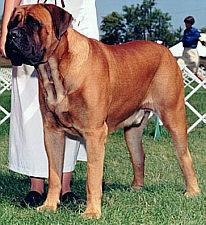 He's a multiple Best of Breed winner (all owner handled). Draco has a beautiful head, he has great movement, superior bone, a good top line, round tight feet and toes and an excellent temperament. He is an overall nice sound dog.